This winery wrote a 15-page proposal for a white wine emoji — and it worked! Kendall-Jackson winery is proposing the addition of a white wine emoji to Unicode, but first they need our help. Hold onto your glass: A white wine emoji may be coming soon to a phone near you. Sonoma County winery Kendall-Jackson recently submitted a 15-page proposal for a white wine emoji to Unicode, the governing body for international coding standards, and it was selected for review by the Unicode Technical Committee. So, we don't want to get our hopes up, but ... our hopes are up. Why is there no emoji for white wine. I'm practically mute without it. Two other California-based wineries submitted proposals for a white wine emoji this year, including Flora Springs of Napa Valley and Fetzer of Mendocino County. Though, Kendall-Jackson's proposal is the only one that's made it to the next round. 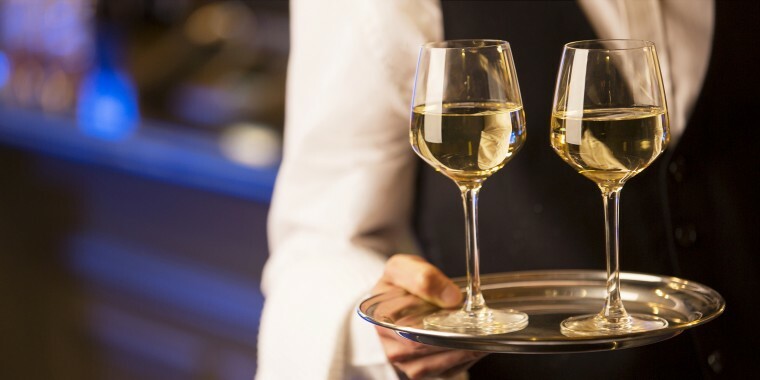 The proposal argues that 78 percent of U.S. wine drinkers regularly drink white wine, while 77 percent of U.S. wine drinkers regularly drink red wine, according to a 2017 U.S. Wine Landscape Report by Wine Intelligence. "While there is clearly overlap in red and white wine consumption, this further demonstrates the lack of emoji representation for white wine drinkers," reads the proposal. The idea for the campaign started after years of Kendall-Jackson customers asking for a white wine emoji on their social media, Director of Marketing Maggie Curry told TODAY Food. "For me, this is an opportunity for us to tell our customers, 'We hear you,'" said Curry. "So we got our team together and spent several days drafting this proposal, and now we're off to the races." Each platform (Facebook, Apple, What's App, etc.) designs their own versions of emojis for their users, said Curry, so the Kendall-Jackson design is just a reference point. The witty winery is also launching a micro-site with their unbranded emoji designs on Aug. 4 (National White Wine Day) for anyone to share and promote — a "digital cheers," they're calling it. "I think this really represents the modern zeitgeist," said Curry. "There's something fun about bringing a white wine symbol to modern communication." Kendall-Jackson hopes this will bolster the #WhiteWineEmoji campaign as the winery prepares to go before a 12-person Unicode Consortium panel next April, which will vote on whether or not to begin development on the emoji. According to Curry, it's crucial that the #WhiteWineEmoji receive widespread support on social media for Unicode to approve the proposal. "It's really a lot of work to do something like this, it's a pretty serious application, so of course Unicode is going to want us to prove popularity and demand," explained Curry. Curry, alongside Kendall-Jackson Winery Senior Brand Manager Lauren Svoboda, is scheduled for Spring 2019 to present the proposal. Curry said that the campaign is meant to unite the wine industry and dispel any misconceptions about it. "We're trying to unite wine lovers across the world. Our hope is that the wine industry at large will come together, rather than having it be a branded thing. "The wine industry gets a bad rap as all being sommeliers and snobs, so we wanted to create something that will bring people together and make them happy." If this one works out, maybe we'll see another 15-page proposal next year — it'll just be a lot pinker.